The Parade of Homes is an event designed to promote our local builders and their products. This year’s parade features beautiful model homes located on scattered sites throughout Martin, St. Lucie & Indian River Counties. This is a self-guided tour created by you, to enjoy at your own pace. During the parade, builders in every category; from affordable housing to luxury homes will be showcasing their very best while competing for awards with their peers. We’re pleased to offer this outstanding collection of quality built, model and luxury homes in a wide range of prices to meet your personal needs. From private gated communities, golf course homes, waterfront or beachfront properties, to affordable family-oriented developments, you’re sure to find your perfect Florida home. Don’t miss this opportunity to view these innovative and imaginative homes and be sure to vote for your favorite in our People’s Choice Award contest. 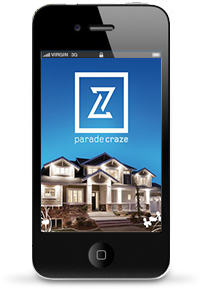 To enhance your experience we are introducing the Parade Craze App (iPhone or Android), which features up to the minute information on each home, a map to the models, and the ability to comment on your favorite. We encourage you to download this app to your phone and get in on all the latest details about these gorgeous homes. For more information, please visit the TCBA website.